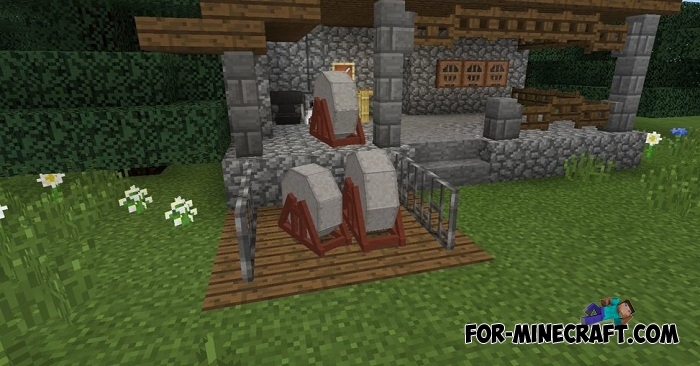 Do you play only Bedrock Edition and you do not know what's new in Minecraft 1.14? Together with Minecraft for smartphones, Java does not stand still and is developing by getting new mechanisms. One of them was a grindstone, which is designed to repair your weapons and tools. It will become a new block and will replace the anvil as a repair mechanism. Unlike the original appearance, the sharpener from this addon looks different and, in addition, is animated. 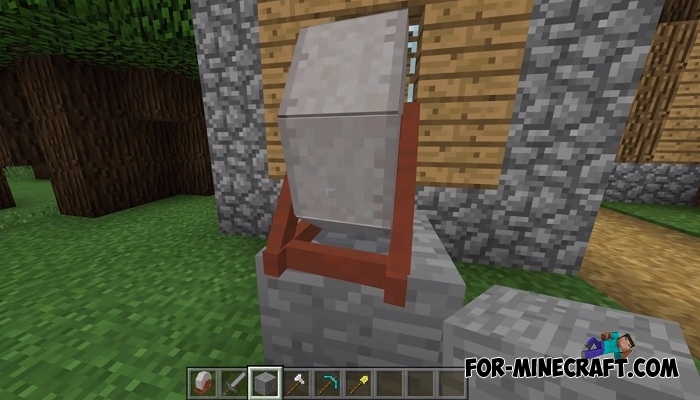 There are three stages of the grindstone improving, each of which allows you to repair weapons and tools from wooden to diamond. 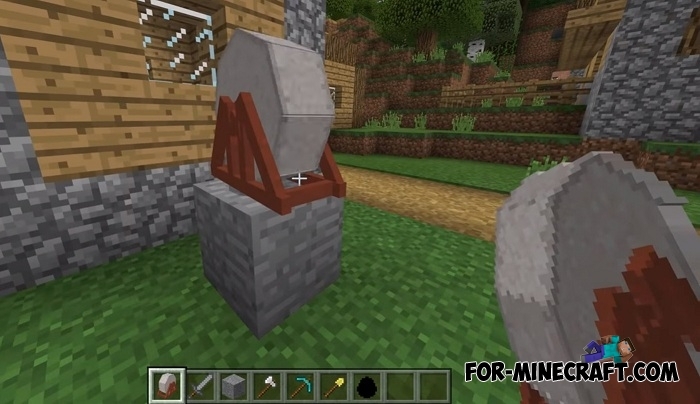 How to get and how to use grindstone? 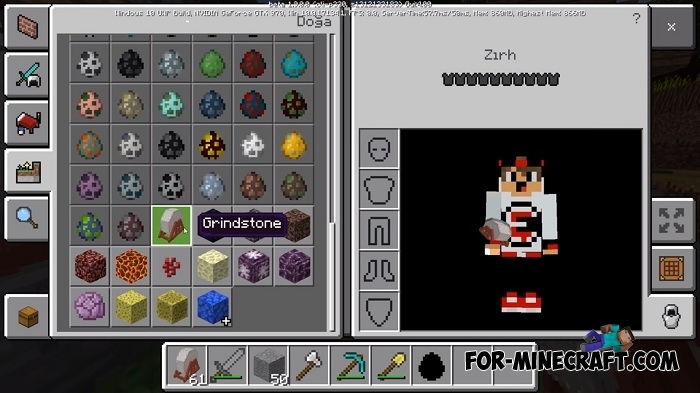 Do not take this addon as an exact feature in the following updates, probably Minecraft BE 2.0. 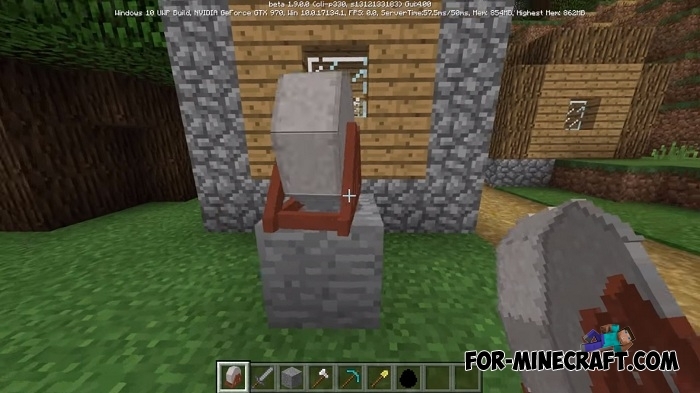 This is just a concept of how new blocks will look and work. 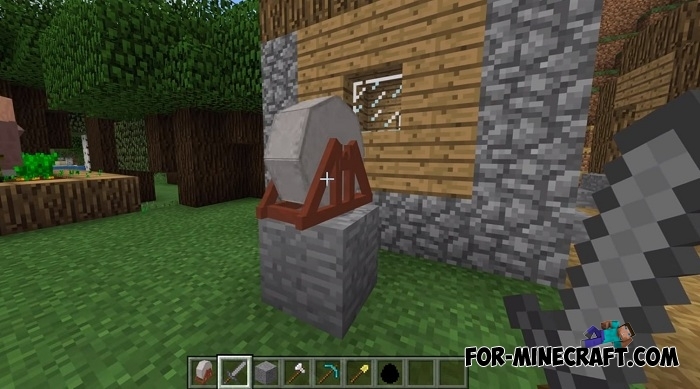 To get a grindstone you need its spawn egg which can be taken from creative mode. Then take the broken or damaged weapon and tap on the grindstone. After a moment, your weapon will be like new. How to install the Grindstone addon?